This topic has 6 replies, 5 voices, and was last updated 1 year, 1 month ago by RobRoy. 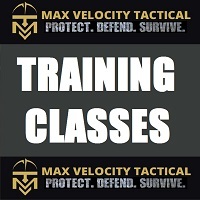 The bottom line: MVT training is an excellent choice for anyone serious about improving the odds of surviving in a dynamic, non-square range environment. Background: I have attended previous MVT classes in WV and in Texas. This time I brought one of my sons for his first firearms class. Class content includes rifle manipulation, reaction to contact, team fire and movement (break contact and assault through), communication. – For each drill: lecture, demonstration, rehearsal and live fire. Immediate critique and student feedback. 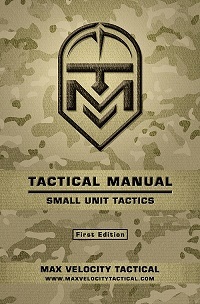 The drills build in complexity and provide common sense solutions to tactical problems. Max added a drill based on a historical scenario that fit the terrain quite well; I thought it was compelling. – There are alternative ways to move on the battlefield and Max explains why, given the circumstances, one approach might be more appropriate than the other. – Max uses popup targets as appropriate. These are useful, but hardly necessary. How a contact is initiated is not nearly as important as learning what to do in response. The ultimate goal is to break any contact paralysis and immediately roll into the correct battle drill. Knowing when to change the drill to another (for example, from bounding back to a peel) is equally important. – This class featured unusual local weather with continued heavy freezing rain the first day. Max adjusted by moving everyone back to the lodge for front loading of the lectures, as well as some welcome shooting from covered positions, so that all subjects were addressed with ease during the course. 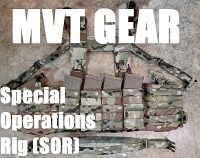 – I have never felt any uneasiness about my safety at MVT and I certainly would not have brought my son for training if I had ever seen anything worrisome. Max explains safety angles, demonstrates proper weapon handling when moving around teammates and enforces all safety rules by carefully observing for developing situations (typically a student surging/delaying slightly off the line of advance of his team). – An excellent cross-section. People you would very much want to associate with outside of the training environment. – A central Texas ranch, some low mesquite cover, minor elevation changes, river beds. – Comparison with MVT home base in West Virginia: WV is hilly and covered with a hardwoods forest; Texas has much longer sight lines. WV has both cover & concealment, Texas has some concealment, very limited cover. This affects the number of bounds necessary to break contact and the duration of fire necessary to suppress the target during an assault. – The ranch has a great lodge with WiFi, cell phone coverage (at least my ATT cell phone worked fine), a full kitchen and a comfortable great room with satellite TV. Students take turns preparing breakfast for the group and typically go into town for (outstanding) BBQ each night. Thus, learning continues after the days’ drills have concluded. Also the camaraderie helps make possible frank group evaluations; there is a remarkable willingness by the students to accept the suggestions of one’s peers. I do suggest driving a pickup—a passenger car can traverse the roads on the ranch, but a pickup is better. – Max requires that each prospective student self-certify completion of a simple fitness test prior to the course. The standard is not difficult at all; I am 61 years old, a non-athlete, and the test was a non-issue. If someone can’t meet the standard, then he is delusional as to his capability to fight in anything other than a static scenario. – Check your ego at the door and approach this training with an open mind. I imagine that some potential students may worry “how will I look”, or “can I handle it”. 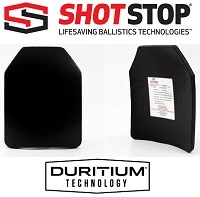 If you have rudimentary rifle skills, you are ready to benefit tremendously from this training. If my son can walk in cold, learn a lot (including important areas for improvement) and have a great time doing it, then you can as well. Summary: MVT provides training that you are not likely to find anywhere short of joining the armed forces. Because MVT trains in both Texas and WV, you can train in terrain that is probably similar to that around your home. An added bonus in Texas is the co-located lodge (and the local BBQ). Unless an astroid strikes Earth between now and next year I plan on taking HEAT next year in Texas provided it works out for Max. I believe that is referring to continuing to fire while you make your individual ‘bound’. – Texas has been a great class, but there were only 2 new bloods coming in, and we had to reorganize the class due to the low bookings on what are seen as the ‘newbie’ classes. The concentration of multi-year-alumni and quality new guys has, however, let us progress the training to things we have not done previously. – We are not giving up on Texas. The training area, the alumni, the lodge accommodation, all are too good to give up on just because there was a dearth of new blood in this year. – Discussions so far, to be refined at the AAR, are that we will plan for a 6 day class next year. It will not be any of the HEAT classes, but an amalgam of all the cool stuff, that I will plan. – We will NOT announce the class in the usual way, with tickets making me scramble if bookings are low. We will only ask people to pay once we have 12, and the class maximum is 16. There will be a page created with details etc, just not the usual payment tickets. Once Lloyd (Shooter) announces to me that we have 12, we will allow deposits. No scramble for me, the class either goes or does not go, and there will be a cut-off maybe 4 months ahead of time. No 12, no class. – It occurs to me that we may have enough alumni for this anyway, but one thing dissuading people who already shoot / train is that they think they are trained, and do not want to spend the time / money doing HEAT 1/ HEMS etc. Much as we know this is not true, we will make an exception. – Class will start with day 1 on the flat range. 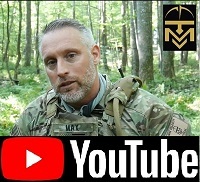 There will be no weapon manipulation training and it will be a revision / indoctrination day of all the necessary techniques for tactical live fire: RTR, facing movement, basic bounding, assault through etc. For alumni it is revision, for alumni who have taken a gap in training it will catch them up on the latest techniques we are teaching. I will take new guys if they write to me explaining what training they have had, and on the understanding it is sink or swim for weapon manipulation. PT prerequisites still apply. – The remainder of the 5 days will be awesome live fire. Rhodesia theme etc. As per this year. Mobility is canned forever, and I have no intention of doing any UTM training. – It occurs to me that this class is getting so good, that we may over-subscribe. If that actually does happen, we may look at perhaps repeating it, or another solution. We shall see. It occurs to me that this class is getting so good, that we may over-subscribe. That’s a good problem to have! I’m glad to hear things are going well in Texas, Max. Would I be considered a new guy since I have only had the two day version way back in the day?